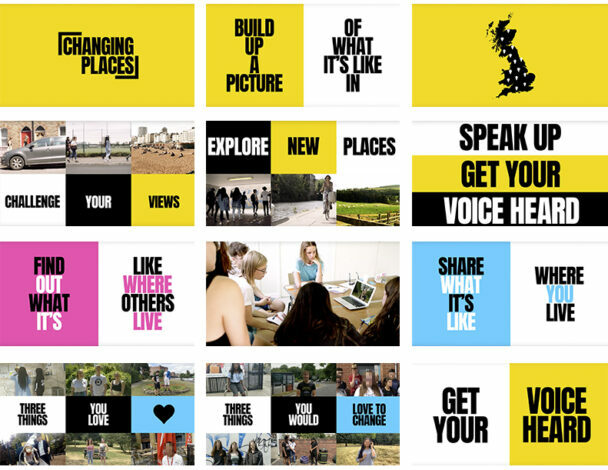 Over the past six months, we’ve been designing a new “mass action campaign” in partnership with the National Citizen Service. 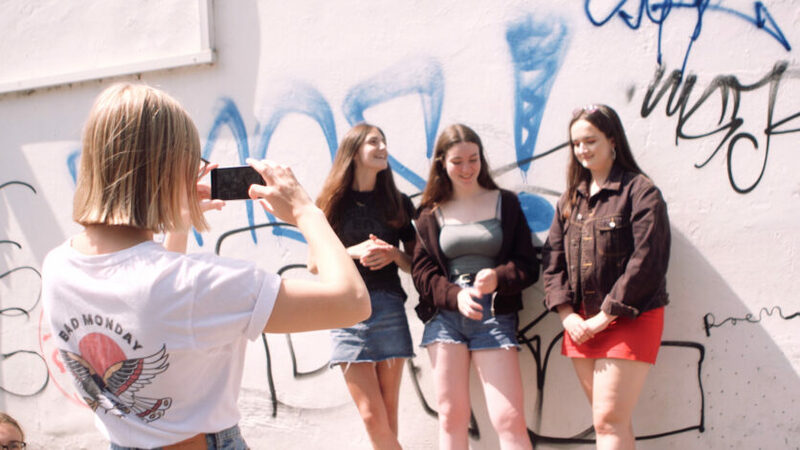 The concept that we’ve developed is called ‘Changing Places’; a half day activity which seeks to connect young people in different parts of the country by giving them a platform to showcase the things they love and would love to change about their local area. We’ve just finished the first pilot in which we tested the activity with 200 young people in 15 locations. 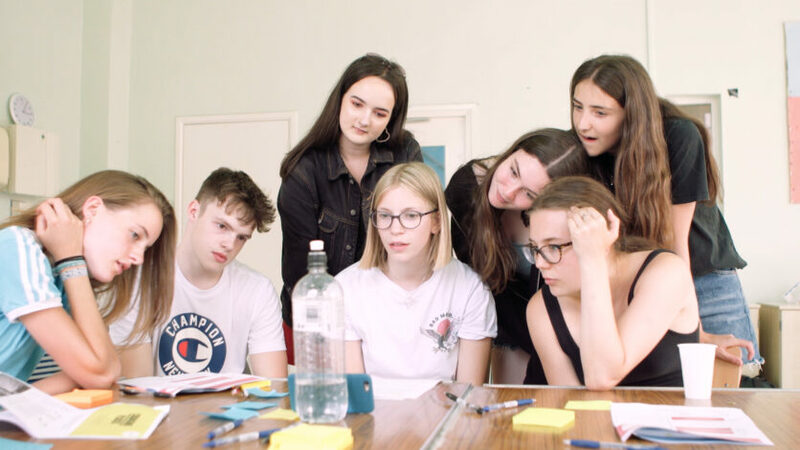 By going along to see the activity in action and getting feedback from the young people and team leaders who took part, we identified a number of opportunities to iterate and improve the concept, session plan, accompanying materials and online platform. We’ve been working hard to make these amends ahead of the second pilot with 1,000 young people in around 60 locations, which began on Monday. When we began this project, we were a new team, all working in new roles, and not all of the team had extensive experience of the design process. We found ourselves feeling moments of uncertainty and lack of clarity. Looking back, we recognise these were inevitable and crucial, and laid the foundations for progress. Talking openly as a team at these points helped. 2. Co-design is for buy-in as much as for ideas generation. We had some great co-creation sessions with our partners and end users. These sessions generated some great ideas, but when we look back at the journey the concept has come on, we see that it’s come a long way. What has endured from those early workshops is a solid relationship with our pilot partners who – we hope – felt a sense of ownership of this product from an early stage. 3. Develop multiple concepts. Work with them for as long as possible. With a tight timeline, it was tempting to expedite the concept refinement phase. But working with multiple concepts pushed us to stretch our ideas and explore new opportunities. We could then cross-pollinate ideas, ultimately leading to a stronger, more innovative concept. 4. Bring in fresh eyes. Inject new ideas and momentum. When you’re struggling to see the wood for the trees, bring in other team members. Fresh eyes help to bring new ideas, inject energy, and generate momentum. Some of our breakthrough moments on this project came from bringing in fresh perspectives. 5. Embrace all testing opportunities. We were lucky to be presented with a number of last-minute testing opportunities. At times, we questioned whether to take these on in the midst of a full workload. Embracing them pushed us to develop the product quickly, test changes, and build our understanding of the end user. 6. Plan your pilot observations. Develop a guide. We spent time developing a guide to support our observations of the first pilot. This guide supported us during our pilot visits, ensuring we were all aligned around the pilot objectives. We approached these observations as case studies, taking time to record the context in which the activity was being tested. This helped us to understand variability in our observations and feedback, and identify context-specific opportunities. 7. You’ve got an ethical responsibility towards your end users. Even in testing. In the world of design and innovation, we’re often encouraged to fail fast and fail often. This has the benefit of forcing you to take abstract concepts and make them into tangible things that can be tested early on, before a lot of time and money have been invested. But speed needs to be balanced with ethical responsibility. Safeguarding, data protection and security, and potential unintended consequences are all important and need adequate time for consideration. We were inspired by a blog from future gov on this point. 8. Work collaboratively. Involve all team members in key moments and processes. Whilst we all have our specialisms, we’ve embraced a collaborative approach to working as a team. 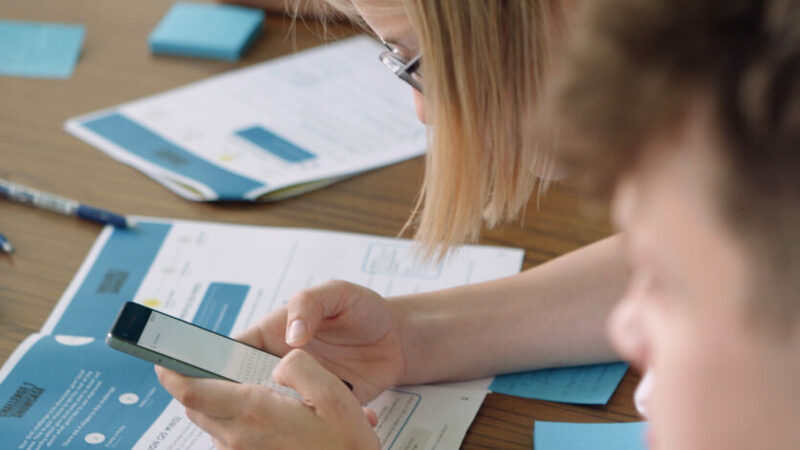 We all get stuck into user journey mapping, user testing, and prototyping. 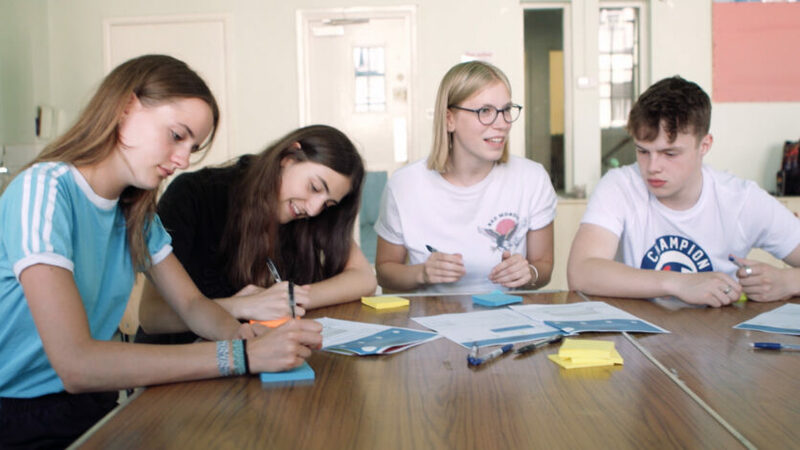 This has helped us individually to develop new skills and has ensured that, as a team, we’re all aligned and up-to-speed with the product’s development, and feel a shared sense of ownership of the product and the process. We especially found it useful for the whole team to observe the pilots, even those who aren’t experienced researchers or evaluators. It helped give a varied perspective, and meant everyone saw what works well and what doesn’t work well in ‘real-life’. 9. Put aside time to reflect. And celebrate. This is something, in hindsight, we haven’t done enough on this project. Taking a few hours to run a retrospective between pilots 1 and 2 enabled us to see how far the concept – and we as a team – have come over the past 6 months. From this session we’ve identified a number of things to bottle, share with the wider Shift team and inform how we work going forward. This blog summarises many of the things that came out! We’ll be sure to repeat this process at the end of the project, inviting our partners along to share their experiences of the project. 10. Support each other. Be open, be encouraging, be appreciative. During the retrospective we were unanimous about our biggest success as a team: establishing an open, supportive, appreciative team culture. This has enabled us to grow quickly as a team, take risks, embrace failure, and remain sane amongst the chaos that often defines a time-pressured design process. Read more about our work with NCS. Watching a film made by a team in a different part of the country and finding out what it’s like for young people there. 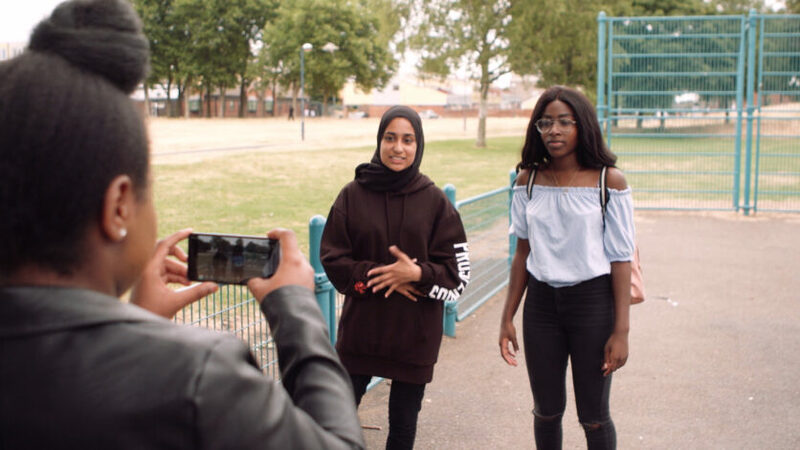 By Immy | August 15, 2018 This entry was posted in Community Cohesion, Partnerships, Social Action, Young People. Bookmark the permalink.